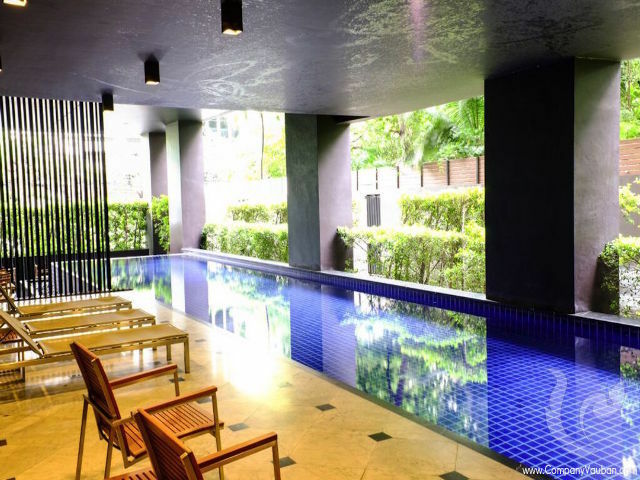 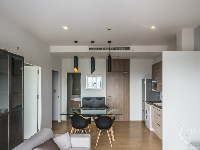 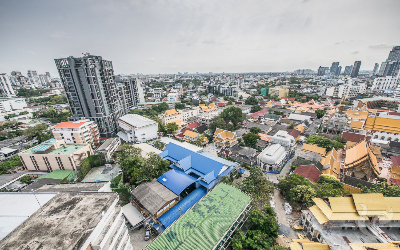 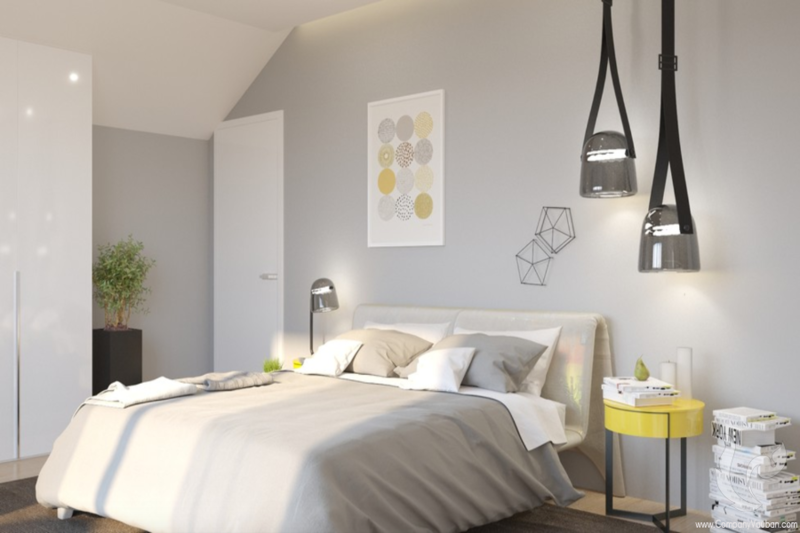 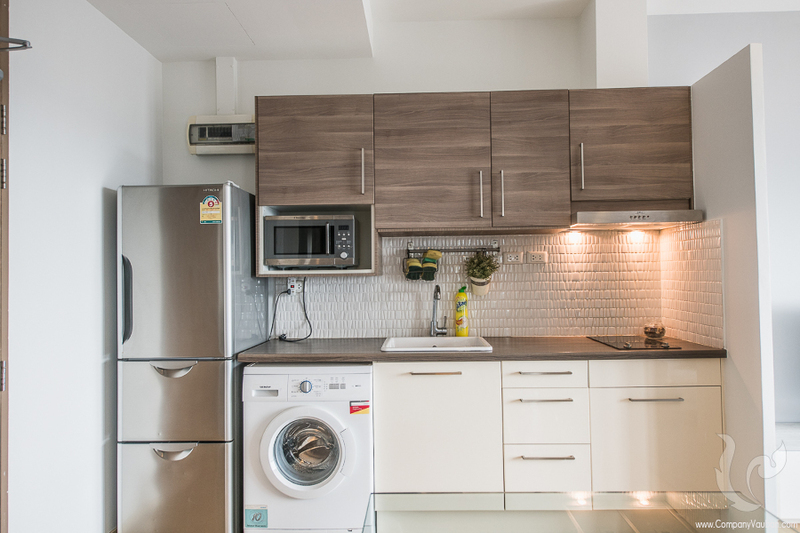 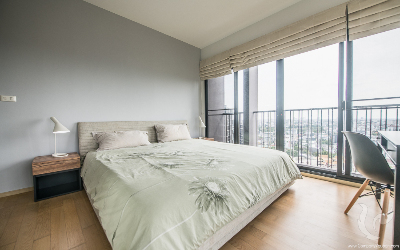 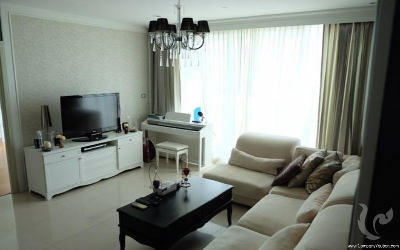 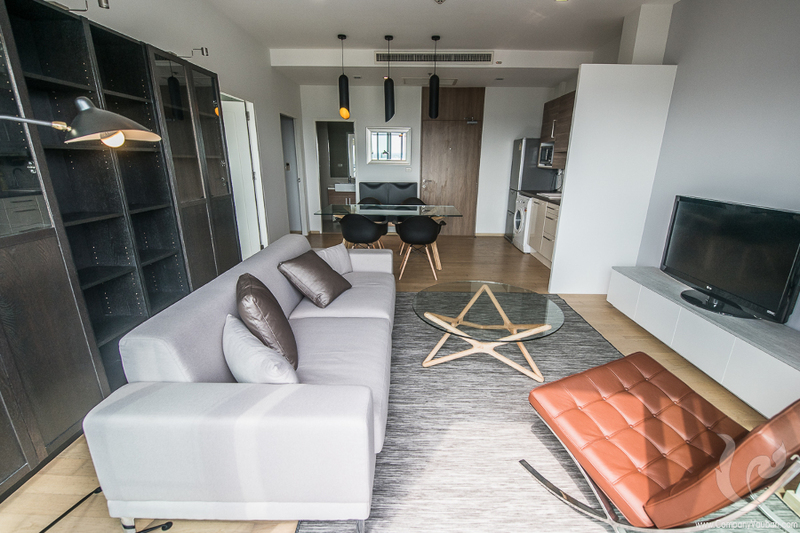 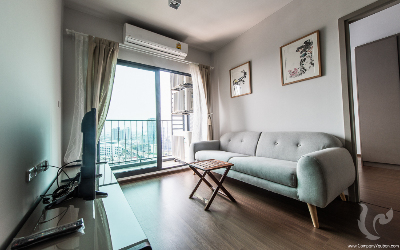 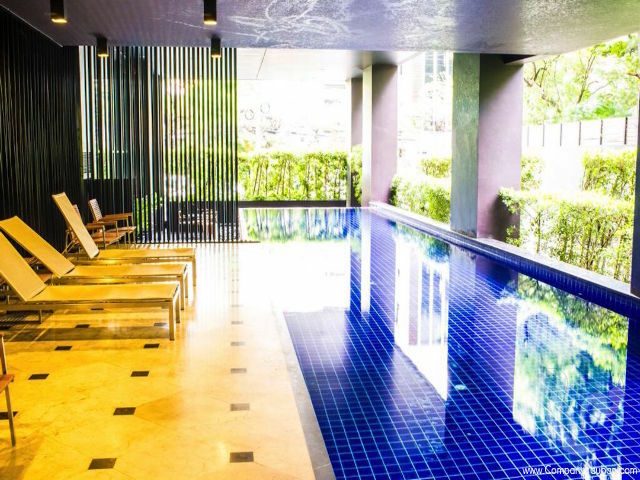 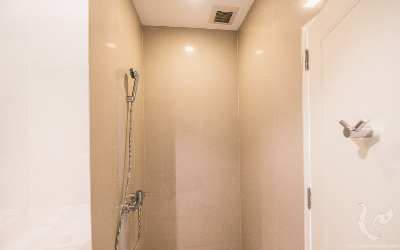 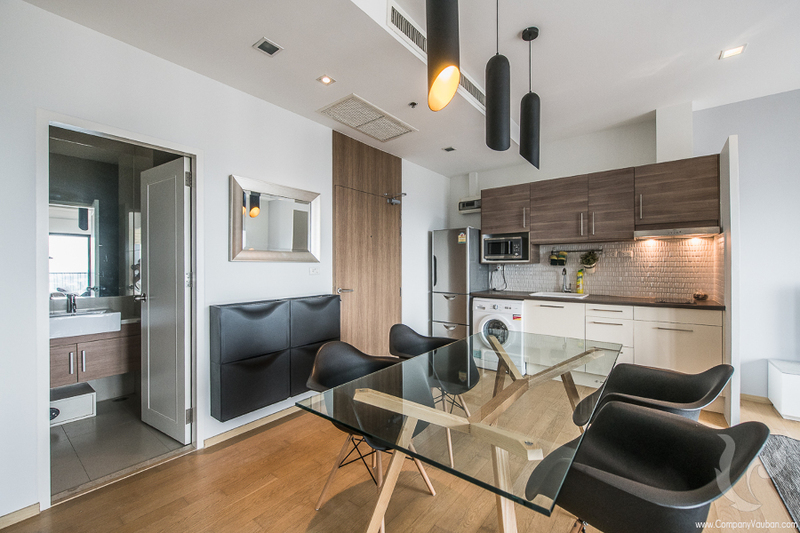 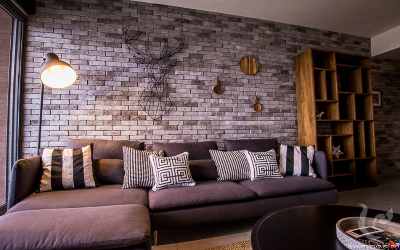 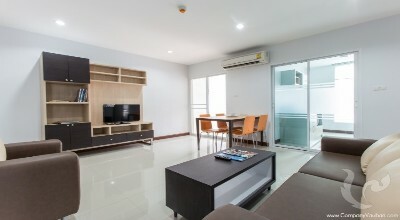 Located on Ekkamai road in the midst of the Japanese District, this modern condo enjoys a very strategic location only 1 minute walk to the BTS station. 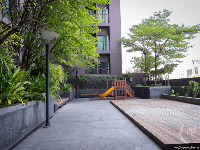 It is situated on a high floor and dominates the neighborhood with open views to the East and South. 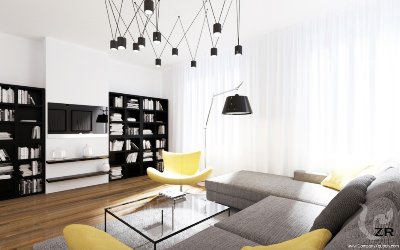 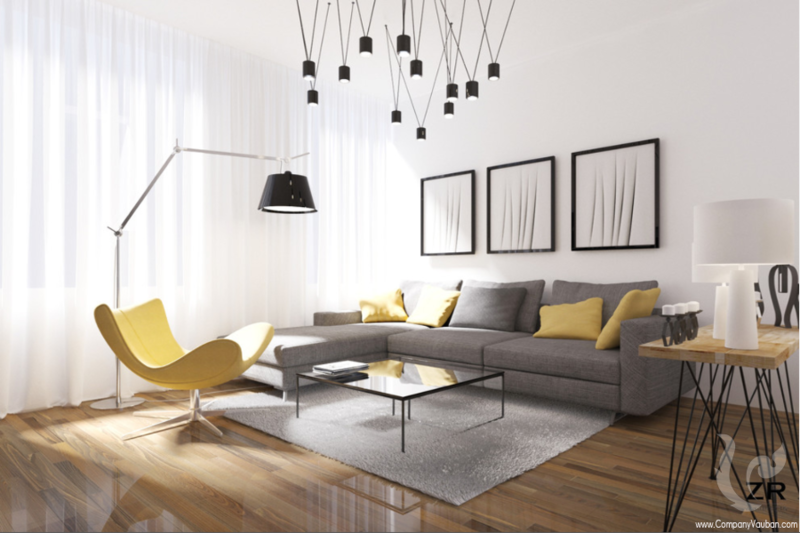 This condo has a loft-style attitude that makes it quite unique. 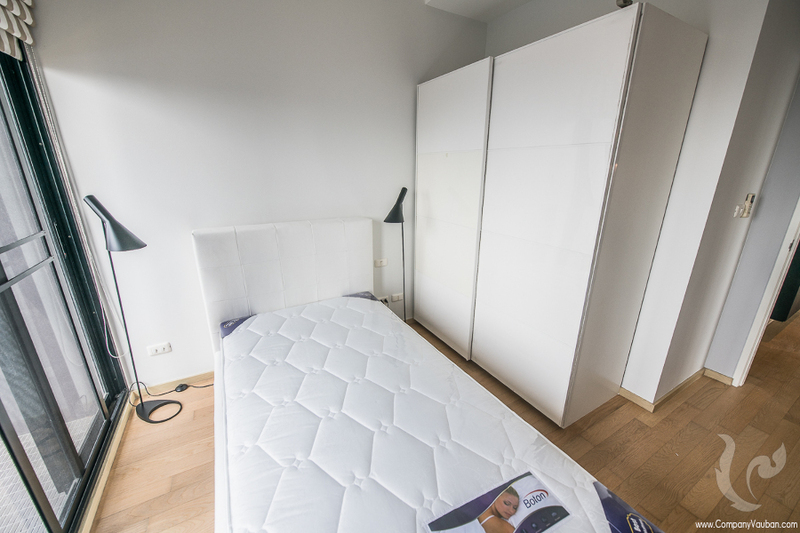 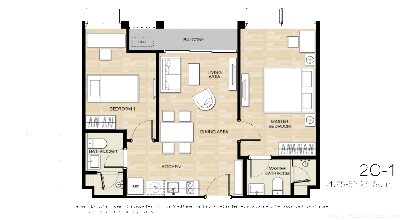 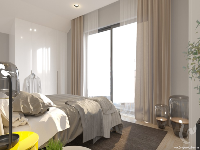 Living room and dining area all in one, master bedroom on the corner of the building, spacious guest bedroom, en-suite closets and bathroom. 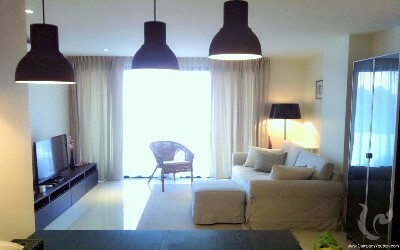 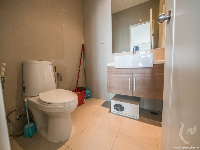 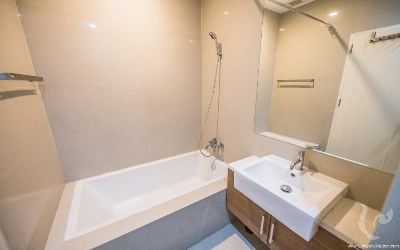 BTS Ekkamai, Gateway Ekkamai, Major Cineplex, international schools nearby, quick access to the highway. 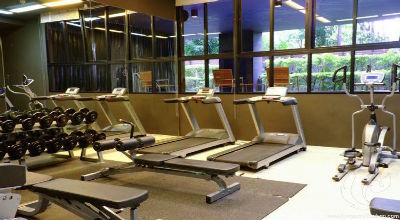 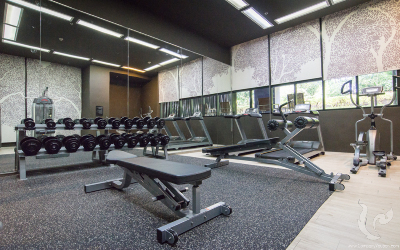 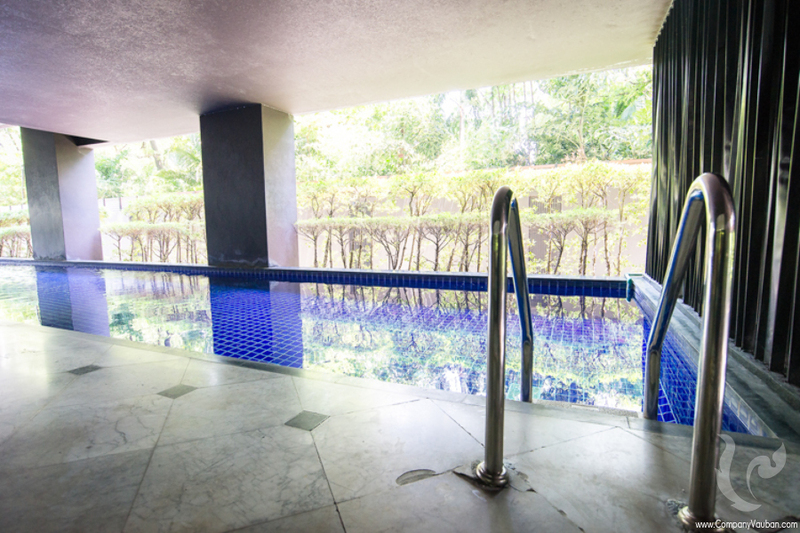 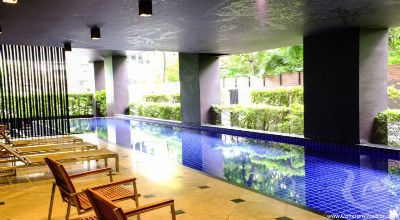 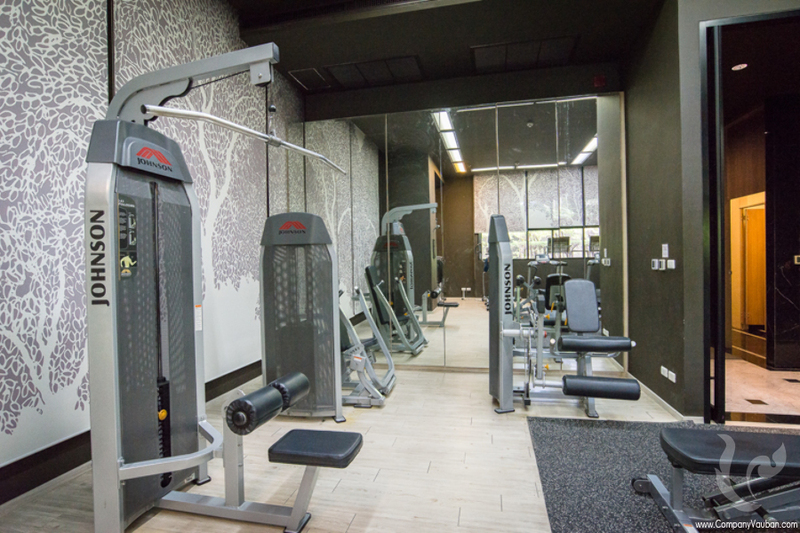 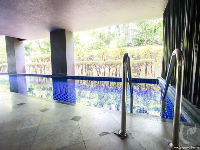 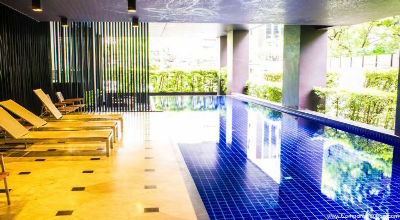 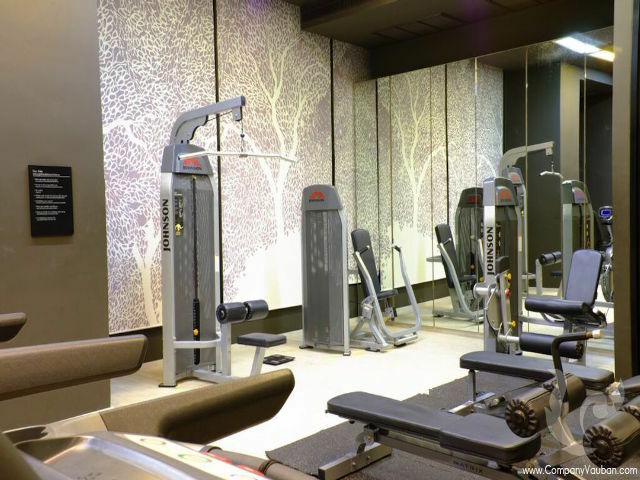 Common amenities include: 24h reception lobby, swimming pool, gym room, parking, 24/7 security and CCTV. 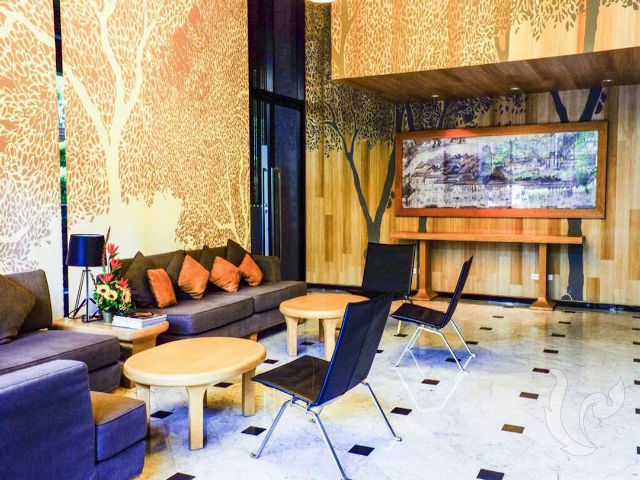 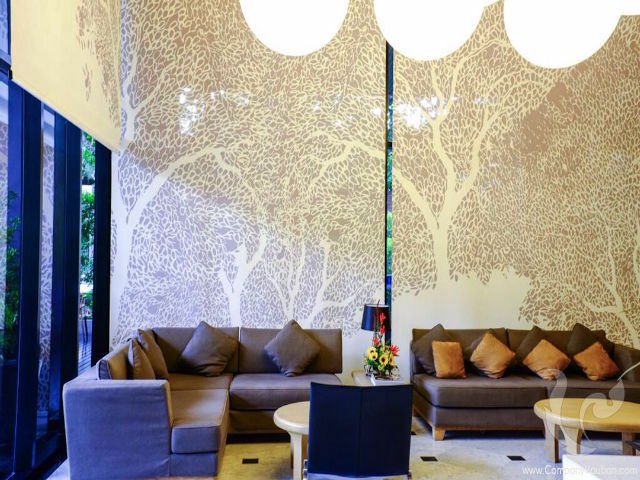 Facilities in this modern abode are no less than appealing starting with its cozy lobby and reception on the ground floor with drop lighting and a large framed painting. Also included are parking, an outdoor children’s play area, a garden, and gym. An indoor swimming pool with polished marble-tile pool deck and round-the-clock security round up the amenities in this impressive locale. 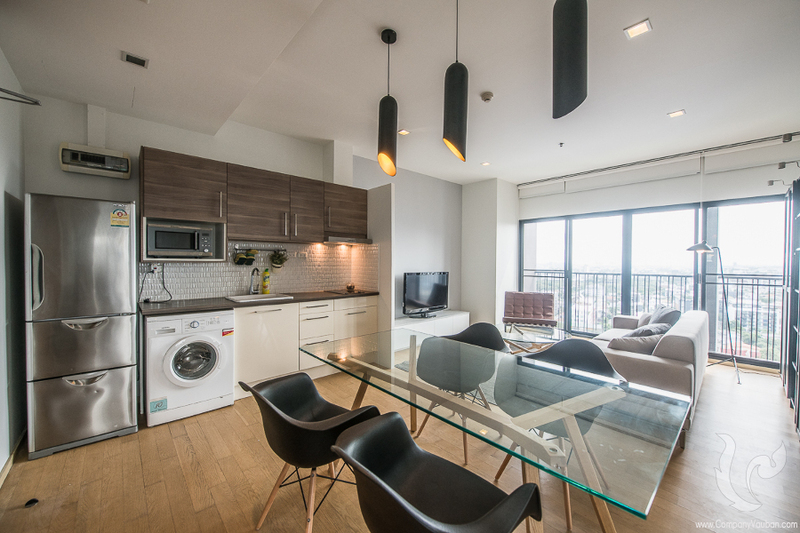 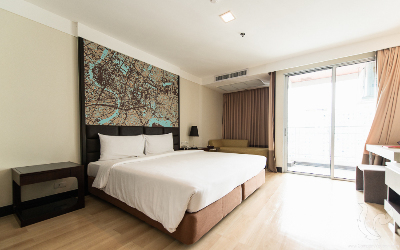 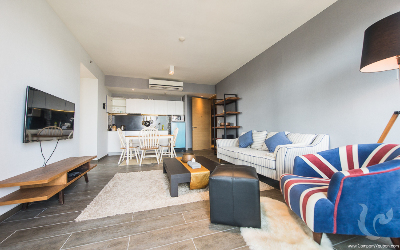 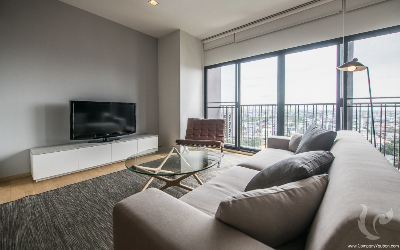 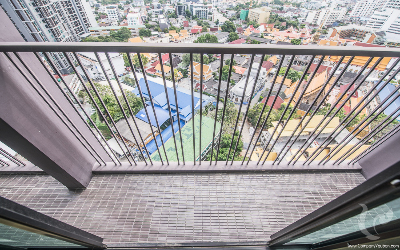 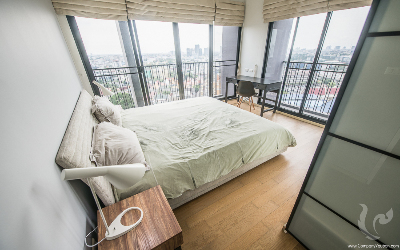 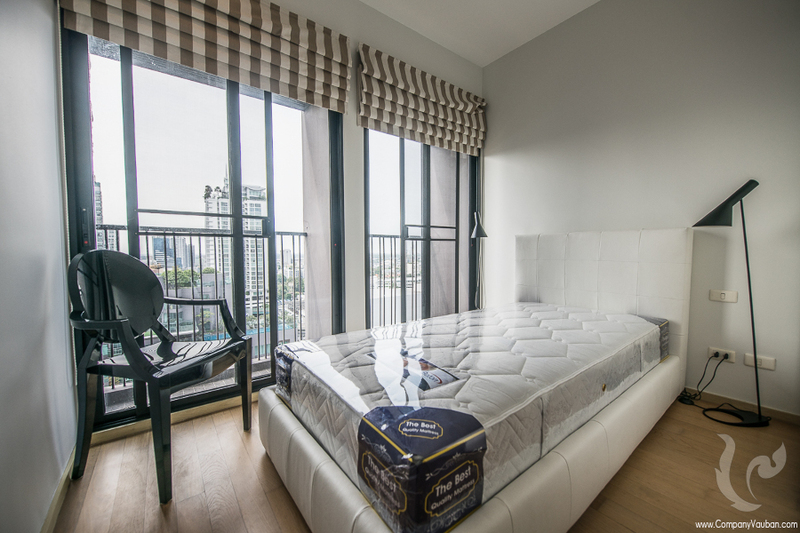 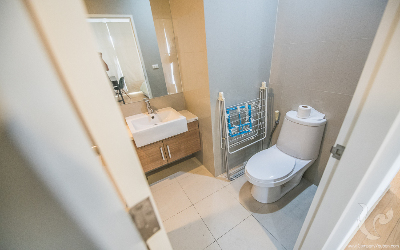 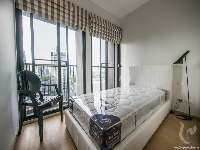 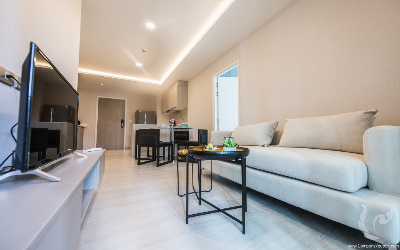 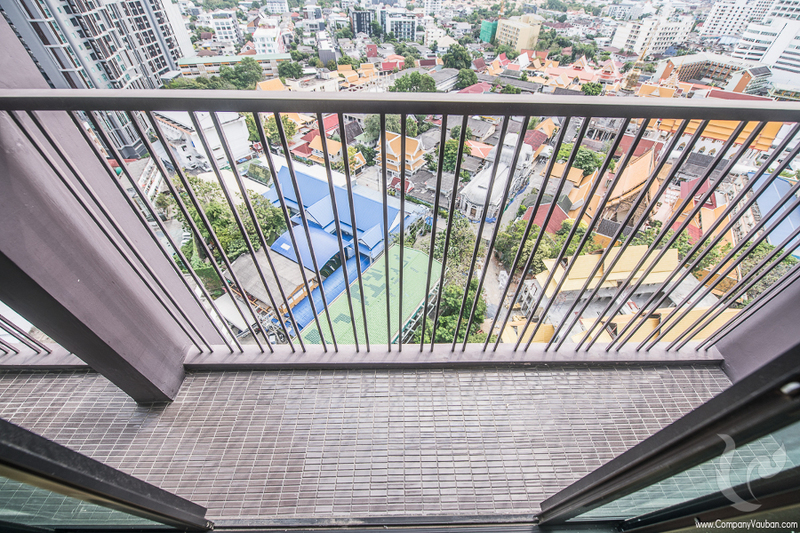 Location this 1-bedroom for rent at Noble Reveal Condominium is in Ekkamai Sukhumvit Soi 63 and is barely 150 meters from the Ekkamai BTS station. 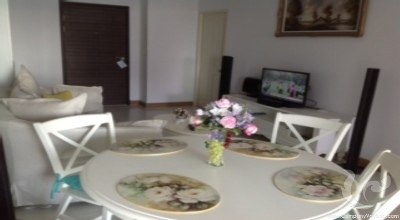 Shops and restaurants literally surround this property.